May Day - the first of May - is a popular day for demonstrations. There are all manner of festivities and traditions celebrating this International Workers Day and last Saturday there was a large demonstration that wove its way through the city streets. 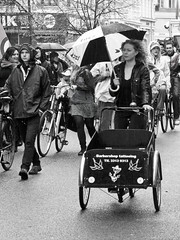 You can read more about May Day in Copenhagen over at this post on Copenhagenize.com, as well as see our massive armadas of cargo bikes. 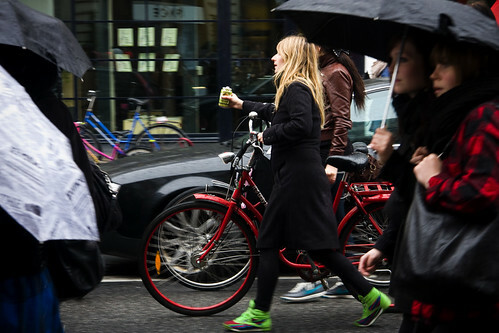 Here at Cycle Chic we'll focus on Demonstration Cycle Chic. 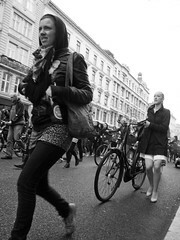 There were thousands of people and easily thousands of bicycles. 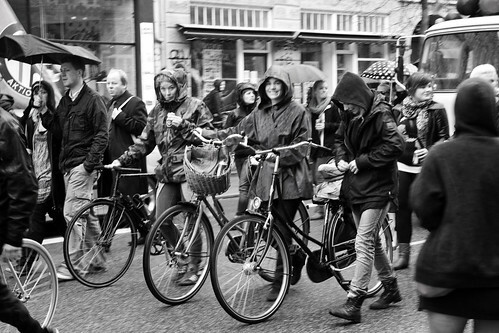 It was a festive event so most people walked their bikes along as they talked and drank beers. Nothing like a rainy day smile. 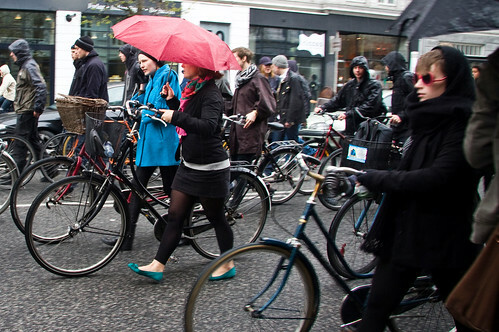 What a groovy little cluster of Copenhageners. 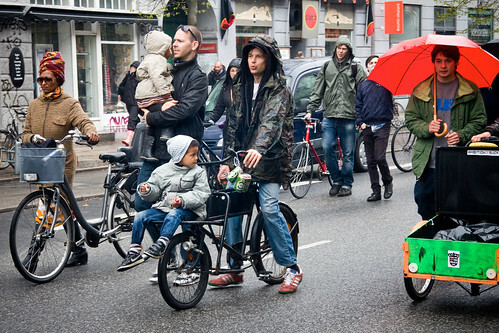 wow, we should start doing that here on may day.